The Fogarty probe is a disposable tool designed to safely remove thromboembolic masses from arteries and veins. This medical product is indispensable in conducting operations in the field of cardiovascular surgery. The probe model with a fitting and a crane was developed by the specialists of the enterprise with a view to more convenient medical manipulations. The probes are delivered in expanded form, in order to avoid the preservation of the effect of the shape memory. The probes are sterile. Fogarty type probe for removing emboli and thrombi consists of a tube, which is a spring made of high-alloyed stainless steel, braided with polyester thread and covered with polyurethane polymer. On the one hand, the probe has a latex balloon with a rounded atraumatic tip. 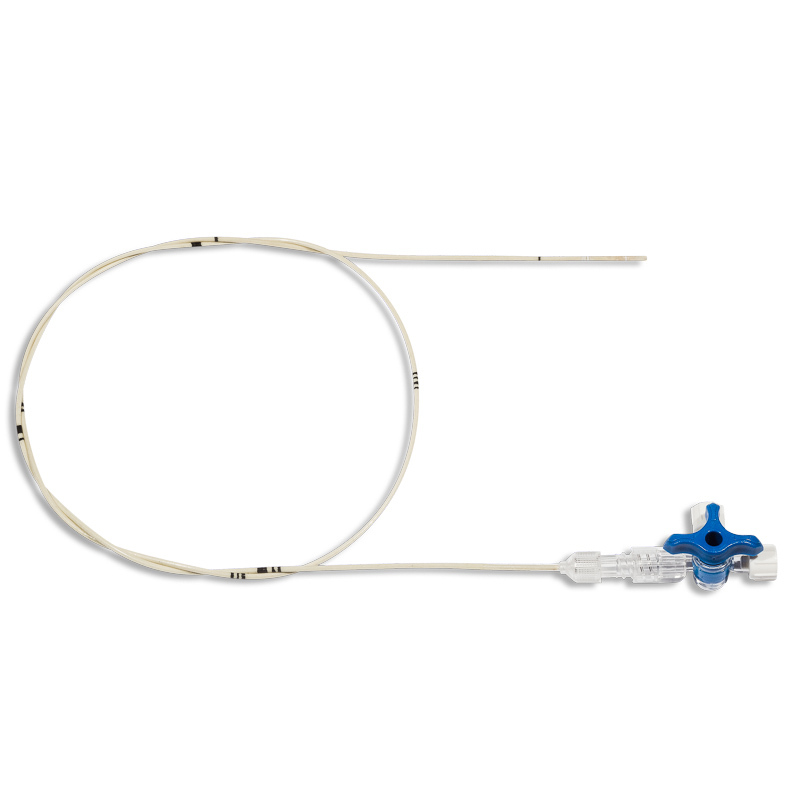 On the other hand, the probe has a three-way valve with a Luer-Lock connector for convenient connection to the syringe. The balloon is made of high-quality, non-toxic and resistant to the effects of human biological environment, lasting latex. Class depending on potential risk of use – 3. All the medical products of PTGO SEVER are certified and have all the necessary accompanying documents. Our company takes an active part in electronic auctions and quotations. We deliver our products to medical institutions all over Russia. More detailed information on technical characteristics and prices you can get by phone (812) 314-54-56.